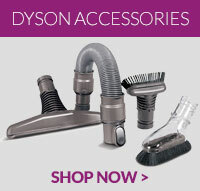 We like to make fixing up your appliances an easy process for everyone, so as well as our range of branded Dyson parts; we also offer quality, low cost alternatives. Our Qualtex range has a proven reputation for excellence, for a fraction of the price. Take a look through our fantastic budget range to save some extra cash.